The trip begins with a short bus ride from Bræðraborg Café, up to the ski area of Seljalandsdalur where we start the walk. 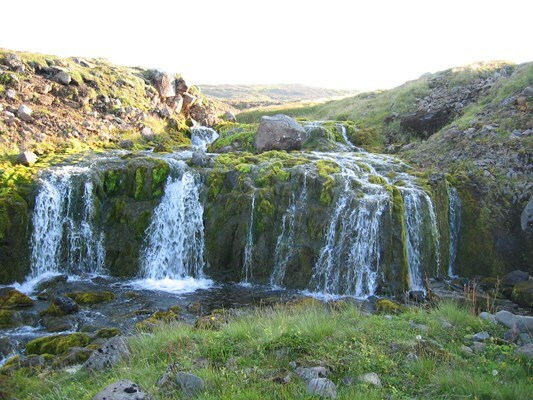 The route takes us along mountain lakes, crystal clear streams and patches of fluorescent moss that is quite characteristic for the mountains in the area. 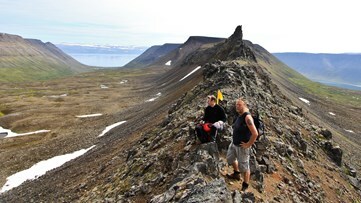 After roughly an hour walk, we get to the base of the mountain with Þjófatindar Peaks looming above. 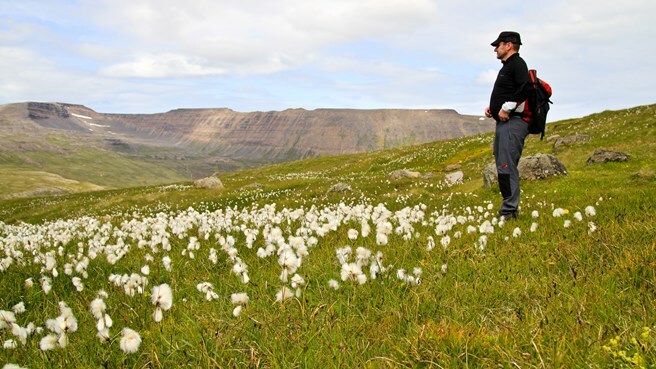 We zig-zag up to the pass between the peaks for a spectacular view over the surrounding mountains and fjords. 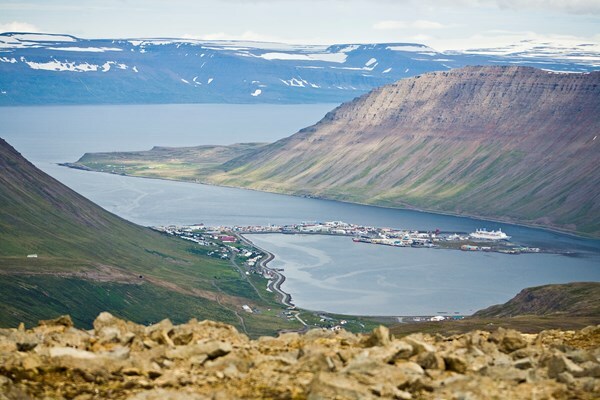 After breaking for refreshments, we'll continue down into the valley on the other side of the pass where the quaint town of Hnífsdalur sits along the shore. In Hnífsdalur we'll be picked up and driven back to Ísafjörður. Departure can be arranged on a different time or day if we have guides available. Please ask! Departure: Mondays, Thursdays and Saturdays at 13:00.